Well a wild old day in the UK and a lot worse in Scotland than down here so I hope everybody is OK up there. It lashed down with rain and hail this morning (we probably had the equivalent of the whole of 2011's rainfall in 15 mins) and then this afternoon the sky cleared and the sun came out so we got a walk after all. I took Monty around the Gog Magog hills - it was not my wisest choice to find the only bit of altitude in the county on a day with a freezing gale blowing. Photography was very difficult - holding the camera still, focussing on subjects that were blowing around and watching the battery embark on a rapid descent into death.... A shame really as the sky and light were interesting. In the end I've gone for a simple (rather poisonous-looking) subject with a pretty background created by the sun falling on wet leaves in a little copse. I've been amazed that my lamp-post appeared on PP - thanks very much - and thank you to all my new Followers, welcome and I'll be visiting your pages as soon as I can. Another fab shot Judith......Bokehlicious...love it!!! A fave! Love this Judith !!! FAV for me!! great shot Judith - loving that bokeh! It was a filthy day - I was driving to Wales in it this morning...then holed up so absolutely no idea if and when it abated!! @sparkle Bet that was fun....almost certain it will still be windy in Wales!! @judithg yes pretty windy still - the old bridge was shut! In Love with the BOKEH!! Great shot - no dripping water? lucky you. @fueast I was thinking this morning at least I could get a drippy shot but the wind was blowing all of the drips off! Well done for taking such a nice photo out doors today. Yes it was terrible up here in Scotland this morning, very strong winds but we are ok! Glorious juicy looking berries with a lovely sheen on them & then that amazing bokeh behind !!!! Who would have thought you could do this in a force whatever gale !!! Well worth all that battling against the elements !! Really like the bokeh in this shot! I love the way the bokeh echo the berries. WEll deserved PP. Like the berries as well. Brilliant , and such shiny berries. This really looks great - I love the natural bokeh in the back. Great shot Judith. Great focus on the berries and the background is perfect for the shot. Love that golden bokeh and the focus on the berries. So pretty. You did it - you got bokeh without a fancy set up! Well done! Lurvely! What sort of lens did you use? @lluniau Just the kit lens - 14-45mm but it's a 4/3 system & I'm not sure how it translates exactly. fabulous. this is amazing and wonderful. A favorite. Wonderful bokeh effect. congrats on being on the pp. @cookie123 Yes - I've been hitting that button! Lucky today - December was a real struggle - this has been a treat. It helps when you can get out of the house without risking life and limb - just be careful! Beautiful shot. Love the bokeh, too. Oh that is nice - lovely shiny fruit and bokehness. Great contrast, great bokeh background. That is some seriously lovely bokeh you got here. Glad to hear you survived the wild weather well. Love the isolation of the berries and the cool bokeh. Totally Bokehlicious! I keep losing the people I follow - so adding you back (think this is the second time)! Great depth of field. Simple and eye catching. Absolutely beautiful! The title is perfection too. :) Sounds like you had a crazy weather day over there ~ but those wet leaves made this shot totally bokehlicious! Wow such a beautiful bokeh! great focus and bokeh Judith! It looks lovely....even though I won't be touching those. ...and there it is Judith PP today....didn't we know it? Well deserved! Absolutely stunning - love! A definite favourite from me. Excellently composed shot, with the focus and out of focus spot on. ..it's gotta be a wow. ..very well shot, top shiny berries and a bit of the ole bokcabollox. 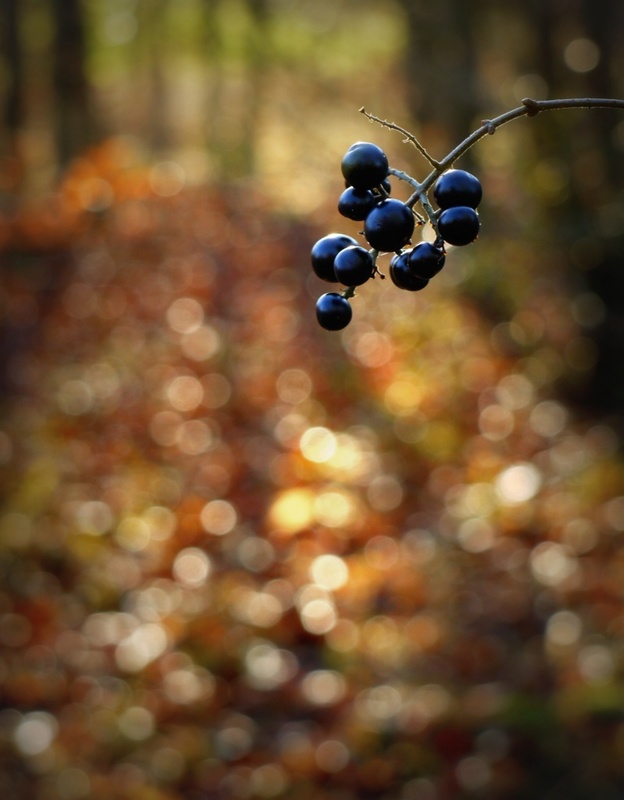 Love your bokeh and berries! Just saw this on the PP. It is gorgeous! I love all the bokeh and the berries. this is fabulous. I love outdoor bokeh. So simple and light-filled. I'm making it a fav. Beautiful image and clever title! gorgeous image! beautiful colors and focus. saw you on the PP! what a fantastic image you have produce here. so well done. Congrats on Top 20 shot - its beautiful! @michaelelliott Oooh - I hadn't seen - thanks! FAV!!! Beautiful picture. Bokeh is brilliant. Fabulous composition and I love the background! #15 on Top 20!!!!!!!! YOU are amazing! Well deserved!! !